Fairbank’s disease or multiple epiphyseal dysplasia (MED) is a rare genetic disorder (dominant form: 1 in 10,000 births) that affects the growing ends of bones. Long bones normally elongate by expansion of cartilage in the growth plate (epiphyseal plate) near their ends. As it expands outward from the growth plate, the cartilage mineralizes and hardens to become bone (ossification). In MED, this process is defective. Children with autosomal dominant MED experience joint pain and fatigue after exercising. Their x-rays show small and irregular ossifications centers, most apparent in the hips and knees. There are very small capital femoral epiphyses and hypoplastic, poorly formed acetabular roofs. A waddling gaitmay develop. Knees have metaphyseal widening and irregularity while hands have brachydactyly (short fingers) and proximal metacarpal rounding. Flat feet are very common. The spine is normal but may have a few irregularities, such as scoliosis. By adulthood, people with MED are of short stature or in the low range of normal and have short limbs relative to their trunks. Frequently, movement becomes limited at the major joints, especially at the elbows and hips. However, loose knee and finger joints can occur. Signs of osteoarthritis usually begin in early adulthood. Children with recessive MED experience joint pain, particularly of the hips and knees, and commonly have deformities of the hands, feet, knees, or vertebral column (like scoliosis). Approximately 50% of affected children have abnormal findings at birth (such as club foot or twisted metatarsals, cleft palate, inward curving fingers due to underdeveloped bones and brachydactyly, or ear swelling caused by injury during birth). Height is in the normal range before puberty. As adults, people with recessive MED are only slightly more diminished in stature, but within the normal range. Lateral knee radiography can show multi-layered patellae. Multiple epiphyseal dysplasia (MED) encompasses a spectrum of skeletal disorders, most of which are inherited in an autosomal dominant form. However, there is an autosomal recessive form. In the dominant form, mutations in five genes are causative: COMP (chromosome 19), COL9A1 (chromosome 6), COL9A2 (chromosome 1), COL9A3(chromosome 20), and MATN3 (chromosome 2). However, in approximately 10%-20% of samples analyzed, a mutation cannot be identified in any of the five genes above, suggesting that mutations in other as-yet unidentified genes are involved in the pathogenesis of dominant MED. All those genes are involved in the production of the extracellular matrix (ECM). The role of COMP gene remains unclear. It is a noncollagenous protein of the ECM. Mutations in this gene can cause the pseudoachondroplasia (PSACH). It should play a role in the structural integrity of cartilage by its interaction with other extracellular matrix proteins and can be part of the interaction of the chondrocytes with the matrix. It is a potent suppressor of apoptosis in chondrocytes and can suppress apoptosis. Another one of it roles is maintaining a vascular smooth muscle cells contractile under physiological or pathological stimuli. Since 2003, the European Skeletal Dysplasia Network has used an online system to diagnose cases referred to the network before mutation analysis to study the mutations causing PSACH or MED. COL9A1, COL9A2, COL9A3 are genes coding for collagen type IX, that is a component of hyaline cartilage. MATN3 protein may play a role in the formation of the extracellular filamentous networks and in the development and homeostasis of cartilage and bone. In the recessive form, the DTDST gene, also known as SLC26A2, is mutated in almost 90% of the patients, causing diastrophic dysplasia. It is a sulfate transporter, transmembrane glycoprotein implicated in several chondrodysplasias. It is important for sulfation of proteoglycans and matrix organization. Diagnosis should be based on the clinical and radiographic findings and a genetic analysis can be assessed. Symptomatic individuals should be seen by an orthopedist to assess the possibility of treatment (physiotherapy for muscular strengthening, cautious use of analgesic medications such as nonsteroidal anti-inflammatory drugs). Although there is no cure, surgery is sometimes used to relieve symptoms.Surgery may be necessary to treat misalignment of the hip (osteotomy of the pelvis or the collum femoris) and, in some cases, malformation (e.g., genu varum or genu valgum). In some cases, total hip replacement may be necessary. However, surgery is not always necessary or appropriate. Sports involving joint overload are to be avoided, while swimming or cycling are strongly suggested. Cycling has to be avoided in people having ligamentous laxity. The use of crutches, other deambulatory aids or wheelchair is useful to prevent hip pain. Pain in the hand while writing can be avoided using a pen with wide grip. Multiple epiphyseal dysplasia was described separately by Seved Ribbing and Harold Arthur Thomas Fairbank in the 1930s. Research on COMP led to mouse models of the pathology of MED. In 2002, Svensson’s group generated a COMP-null mouse to study the COMP protein in vivo. These mice showed no anatomical, histological, or even ultrastructural abnormalities and none of the clinical signs of PSACH or MED. Lack of COMP was not compensated for by any other protein in the thrombospondin family. This study confirmed that the disease is not caused by reduced expression of COMP. In 2007, Piròg-Garcia’s group generated another mouse model carrying a mutation previously found in a human patient. With this new model, they were able to demonstrate that reduced cell proliferation and increased apoptosis are significant pathological mechanisms involved in MED and PSACH. In 2010, this mouse model allowed a new insight into myopathy and tendinopathy, which are often associated with PSACH and MED. These patients show increased skeletal muscle stress, as indicated by the increase in myofibers with central nuclei. Myopathy in the mutant mouse results from underlying tendinopathy, because the transmission of forces is altered from the normal state. There is a higher proportion of larger diameter fibrils of collagen, but the cross-sectional area of whole mutant tendons was also significantly less than that of the wild-type tendons causing joint laxity and stiffness, easy tiring and weakness. This study is important because those diseases are often mistaken for neurological problems, since the doctor can detect a muscle weakness. This includes many painful and useless clinical neurological examination before the correct diagnosis. In this work, the researchers suggest to the pediatric doctor to perform x-rays before starting the neurological assessment, to exclude the dysplasia. COL91A mutation was discovered in 2001. Recently we had a student who had a traumatic brain injury and we were looking for user-friendly strategies to use at school. Our speech and language pathologist suggested BrainSTARS. I hope you find it as useful as we have in supporting students with brain injuries. The manual is available in English and Spanish. For more information or to order copies, call 1.800.624.6553, ext. 5470 or moores.christine@tchden.org. A traumatic brain injury (TBI) is defined as a blow to the head or a penetrating head injury that disrupts the normal function of the brain. TBI can result when the head suddenly and violently hits an object or when an object pierces the skull and enters brain tissue. Symptoms of a TBI can be mild, moderate or severe, depending on the extent of damage to the brain. Mild cases may result in a brief change in mental state or consciousness, while severe cases may result in extended periods of unconsciousness, coma or even death. About 1.7 million cases of TBI occur in the U.S. every year. Approximately 5.3 million people live with a disability caused by TBI in the U.S. alone. Annual direct and indirect TBI costs are estimated at $48-56 billion. There are about 235,000 hospitalizations for TBI every year, which is more than 20 times the number of hospitalizations for spinal cord injury. Among children ages 14 and younger, TBI accounts for an estimated 2,685 deaths, 37,000 hospitalizations and 435,000 emergency room visits. Every year, 80,000-90,000 people experience the onset of long-term or lifelong disabilities associated with TBI. Males represent 78.8 percent of all reported TBI accidents and females represent 21.2 percent. National statistics estimate between 50-70 percent of TBI accidents are the result of a motor vehicle crash. The mortality rate for TBI is 30 per 100,000, or an estimated 50,000 deaths in the U.S. annually. Of those who die, 50 percent do so within the first two hours of their injury. Deaths from head injuries account for 34 percent of all traumatic deaths. Beginning at age 30, the mortality risk after head injury begins to increase. Persons age 60 and older have the highest death rate after TBI, primarily because of falls, which have a rising incidence in this age group. Centers for Disease Control and Prevention (CDC), Traumatic Brain Injury (TBI): Incidence and Distribution, 2004. What is 22q11.2 deletion syndrome in children? 22q11.2 deletion syndrome (22q11.2DS) is a genetic disorder. In children with this syndrome, a tiny piece of chromosome 22 is missing. This can cause many health problems. These problems may range from heart defects and developmental delays to seizures. The child may also have changes in how the eyes, nose, or ears look. Or the child may have an opening in the roof of the mouth (cleft palate). Most children with the syndrome only have some of the health problems. In general, any of the health problems can be treated, especially if they are found early. The name of the syndrome refers to the missing piece of chromosome 22. It is located at a place on that chromosome called q11.2. Some children with the syndrome had been diagnosed with Opitz G/BBB syndrome or Cayler cardiofacial syndrome in the past. Healthcare providers now know that these disorders all share the same genetic cause as 22q11.2DS. About 1 in 4,000 people have 22q11.2DS. But some experts believe this number is higher. Some parents who have a child with this chromosome problem may not know it because the symptoms are less severe. What causes 22q11.2DS in a child? Most children with 22q11.2DS are missing about 50 genes. Researchers don’t yet know the exact function of many of these genes. But missing the gene TBX1 on chromosome 22 likely causes the syndrome’s most common physical symptoms. These include heart problems and cleft palate. The loss of another gene (called COMT) may also explain the higher risk for behavior problems and mental illness. About 9 in 10 cases of 22q11.2DS happen by chance (randomly). They occur when the egg is fertilized. Or they occur early in a baby’s growth in the mother’s uterus. This means that most children with the disorder have no family history of it. But a person with the condition can pass it on to his or her children. About 1 in 10 cases are inherited from the mother or the father. When the condition is inherited, other family members could also be affected. A person who has this chromosome deletion has a 1 in 2 chance of passing the problem to a child. So both parents can have their blood studied to look for the deletion. Which children are at risk for 22q11.2DS? A child is more at risk for this disorder if he or she has a parent with the condition or is carrying the faulty chromosome. But most cases occur randomly. What are the symptoms of 22q11.2DS in a child? Symptoms of 22q11.2DS may vary widely, even among family members. At least 30 symptoms have been seen with this disorder. Most children have only some of the symptoms. Heart defects. These are usually present from birth (congenital). Mouth problems. These include cleft palate and a palate that does not close fully (velopharyngeal insufficiency). These can cause speech problems. Ear problems. This includes middle ear infections or hearing loss. Low levels of calcium in the blood. This is caused by problems with the parathyroid glands and can trigger seizures. Immune system problems. These can increase the risk for infections. Spine problems. These include curvature of the spine (scoliosis) and problems with the bones of the neck or upper back. Learning problems. These include delays in development and speech. Communication and social problems. This includes autism. Increased risk for mental illness. This includes anxiety, depression, or schizophrenia in adulthood. Feeding difficulties. These may occur because of a cleft palate, gastroesophageal reflux, or other issues. Kidney problems. These may include an abnormally shaped kidney or a missing kidney. The symptoms of 22q11.2DS can be like other health conditions. Make sure your child sees his or her healthcare provider for a diagnosis. How is 22q11.2DS diagnosed in a child? Blood tests. These are to look for immune system problems. X-ray. This test makes pictures of internal tissues, bones, and organs. Echocardiography. This test looks at the structure of the heart and how well it is working. Fluorescent in situ hybridization (FISH) studies. This blood test looks for certain genes that are deleted. If the FISH test doesn’t find any deletion in the 22q11.2 region of the chromosome, but your child has signs of the syndrome, he or she will usually need a full chromosome study. This will look for other chromosome problems. Chromosomal microarray. This is similar to a FISH test. But it looks at many regions across all the chromosomes, including chromosome 22. This is to find a missing piece in the 22q11.2 location. How is 22q11.2DS treated in a child? There is no cure for 22q11.2DS. But many of its related health problems can be treated. You can help your child by seeking early care. Cardiologist. He or she will look at any heart defects. The cardiologist may correct them with a procedure or surgery. Plastic surgeon and speech pathologist. They will look at any cleft lip or cleft palate defects. Speech and digestive specialists. They will look at any feeding problems. Some children with the syndrome have severe feeding problems. They need tube feedings in order to get enough nutrition. Immune system specialist. Your child should be checked by this type of specialist. If your child has a T cell problem, he or she is at risk for infections that keep coming back. Your child should not have any live viral vaccines. Your child should have any blood products for a transfusion irradiated. This is true unless your child’s immune system doctor says that is not needed. Low calcium. This is common in children with the syndrome, especially right after birth. But it can also happen during times of stress, such as during puberty or after surgery. Your child may need to take calcium and vitamin D supplements. Your child may need to see an endocrinologist. This is a doctor who specializes in treating problems of the endocrine system. Development problems. Young children with 22q11.2DS may be slow to meet developmental milestones. These include sitting, walking, and talking. The International 22q11.2 Deletion Syndrome Foundation recommends that parents consider physical therapy (PT), occupational therapy (OT), and speech therapy for their child. PT strengthens large muscles and helps children meet developmental milestones. OT focuses on small muscles used for tying shoes, buttoning clothes, and other tasks. It can also help with feeding problems. Speech therapy can help your child with language delays. What are the possible complications of 22q11.2DS in a child? A small number of children with severe heart defects and immune system problems caused by 22q11.2DS will not survive the first year of life. But most children with the syndrome who get treatment will survive and grow into adulthood. These children will likely need extra help throughout school. They may also need long-term care for their health needs. Some children with the syndrome may have behavioral conditions. These include autism, attention deficit disorder, obsessive compulsive disorder, or anxiety. How can I help prevent 22q11.2DS in my child? Most cases of 22q11.2DS occur randomly. So the disease can’t always be prevented. In about 1 in 10 cases of the syndrome, the deletion is inherited from one of the parents. Think about having genetic testing and counseling to find out if this disorder is inherited. If you have the 22q11.2 deletion, you have a 1 in 2 chance of passing it on to a child. This is true for every pregnancy you have. How can I help my child live with 22q11.2DS? Keeping all appointments with your child’s healthcare provider. Calling the healthcare provider if you are concerned about your child’s symptoms. Telling others of your child’s condition. Work with your child’s healthcare provider and school to come up with a treatment plan. Thinking about getting genetic testing and counseling to understand whether 22q11.2DS is an inherited condition in your family. 2 deletion syndrome (22q11.2DS) is a genetic disorder where a tiny piece of chromosome 22 is missing. Most cases happen randomly as a baby grows in the mother’s uterus. It can also be inherited. Symptoms vary widely and can range from heart defects and developmental delays to seizures. A child’s eyes, nose, or ears may look different. Or the child may have an opening in the roof of the mouth (cleft palate). The syndrome has no cure. But many related health problems can be treated. You can help your child by seeking early care. Most children who get treatment early will survive and grow into adulthood. They will likely need extra help throughout school. They may also need long-term care for their health needs. A person with this condition has a 1 in 2 chance of passing the problem to a child. So genetic testing and counseling are important. In this funny, heartwarming celebration of kindness and inclusion, spunky grade school narrator Jenna, or Jen (as she prefers), shares all about living with invisible differences. This revised and expanded edition of the best-selling Helping Your Anxious Child offers parents the most up-to-date, proven-effective techniques for helping children overcome anxiety. The author, Sherry Baker-Gomez, is the parent of a child with VCFS. Her son, now 25, was finally diagnosed with VCFS at 18 years of age after a long medical history and searching for answers. Sherry, herself, had been so desperate for answers after many years of struggling with her son’s undiagnosed disorder that she became a nurse in an effort to understand the symptoms she saw in him and what they meant. Then she realized that many other parents needed answers and needed to know where to turn, so she began writing. Committed to VCFS education, Sherry started gathering information on resources and, stories that offered support. Working along with other parents and professionals, Sherry has organized this collection of information into a comprehensive handbook that brings information and resources to parents, professionals, and others under one cover. This book effectively blends the thoughtful research that has transpired within the past 15 years with practical and current educational strategies to better meet the needs of children with VCFS and other developmental disabilities. The first part of the book explains the syndrome and the implications of current research in the fields of brain abnormalities, language/learning profiles and psychiatric/behavioral difficulties. These chapters are written in a reader-friendly manner for parents, professionals, and teachers. The second part of the book is a practical guide to educating a child with VCFS from birth through adulthood. It includes information regarding the necessary tests special education teams should run, typical difficulties associated with learning, changes that occur with ability as the child matures, as well as behavioral problems in the school setting. The authors also present meaningful advice on issues such as friendships, private vs. public school placement, job training, and other pertinent decisions that affect the VCFS child’s everyday life. With its expanded content, as well as contributions from some of the most highly regarded experts in the field, Educating Children with Velo-Cardio Facial Syndrome (also Known as 22q11.2 Deletion Syndrome and DiGeorge Syndrome), Second Edition is an essential resource for teachers, parents, physicians, and therapists of children with velo-cardio-facial-syndrome. 54-year-old Raymond Tanner has always felt different. As a child, he looked unusual, had trouble speaking clearly and was a slow learner. Over the years, he’s had countless operations to improve his appearance. For Tanner, being diagnosed with VCSF (at the age of 43) helped him re-evaluate his life, but it also brought a burden of guilt – both his sons were born with the syndrome. His first son died of heart problems when he was nine days old. His other son, Andrew, has ongoing health issues. Tanner now hopes to help other families through giving them a better understanding of VCFS, and encouragement that support is available and there is hope for the future. This book is a compilation of stories from families from Australia, France, Israel, New Zealand, South Africa, the UK and the USA; and other important information. It also tells about Raymond Tanner’s life story with VCFS in himself and his two sons. Daniella is worried about the future of her son Tijn. He has been diagnosed with 22Q11deletion syndrome, and also has ADHD, autism spectrum disorder and Dyslexia. She wanted to know how people with a syndrome, disorder or impairment led their lives, what they had been through and whether they had been able to make their dreams come true despite these obstacles. How does it feel when others see you as being ‘different’ and treat you ‘differently’? In this inspiring book, adolescents and adults with 22Q11 deletion syndrome, ADHD and ASD tell about their dreams and ambitions, friendships, love, education, work, drugs and depressions. Young people with a disability have to work harder at doing their best. They have the additional challenge of biases and incomprehension. Increasing awareness about 22Q11 deletion syndrome will hopefully contribute to more understanding and patience for these people who might seem different but who are as ordinary as anyone else. Ten percent of the population is affected by a learning disability, but few of us understand what being learning disabled (LD) is really like. When he was fourteen, Bradlee was diagnosed with Velo-Cardio-Facial-Syndrome (VCFS), a wide-spread, little-understood disorder that is expressed through a wide range of physical ailments and learning disabilities. In this funny, moving, and often irreverent book, Bradlee tells his own inspirational story of growing up as an LD kid—and of doing so as the child of larger-than-life, formidably accomplished parents: long-time Washington Post executive editor Ben Bradlee and bestselling author Sally Quinn. From his difficulties reading social cues, to his cringe-worthy loss of sexual innocence, Bradlee describes the challenges and joys of living “a different life” with disarming candor and humor. By the end of A Different Life he will have become, if not your best friend, one of your favorite people. This anime-illustrated guidebook is written for teens and young adults to learn how the social mind is expected to work in order to effectively relate to others at school, at work, in the community and even at home. The book is written in the language of teens about what really goes on inside the minds of people as we share space together. From discussing the ins and outs of what it means to be a social thinker to figuring out texting, dating, the different levels of friendship and the many and varied emotions we experience as we relate to others, the authors describe the real world of being with other people. The authors are not trying to get every reader to find a group to hang out with; instead, they are providing information to help each person find his or her place and be appreciated by others at whatever level he or she feels comfortable with. This self-help workbook is designed to assist students with disabilities in understanding causes of disabilities, recognizing individual strengths and weaknesses, soliciting help from others, understanding the role of special education, learning how to be successful at school, studying for tests more eﬀectively, getting and staying organized, coping with teasing and bullying, making and keeping friends, coping with sadness and frustration, recognizing the struggles of others, mapping out and working towards future goals. The workbooks are available in four themes: butterflies, coral reef, racecar and jungle. Family-friendly guidance and support for young children with clefts. Teams of SLPs explain clefts and offer strategies to improve speech and language in children up to age three. Living with a Brother or Sister with Special Needs focuses on the intensity of emotions that brothers and sisters experience when they have a sibling with special needs, and the hard questions they ask: What caused my sibling’s disability? Could my own child have a disability as well? What will happen to my sibling if my parents die? Written for young readers, the book discusses specific disabilities in easy to understand terms. It talks about the good and not-so-good parts of having a sibling with special needs, and offers suggestions for how to make life easier for everyone in the family. This revised and updated edition includes new sections on attention deficit hyperactivity disorder, fetal alcohol syndrome, fragile X syndrome, traumatic brain injuries, ultrasound, speech therapy, recent legislation on disabilities, and an extensive bibliography. In Views From Our Shoes, 45 siblings share their experiences as the brother or sister of someone with a disability. The children whose essays are featured here range from four to eighteen and are the siblings of youngsters with a variety of special needs, including autism, cerebral palsy, developmental delays, ADD, hydrocephalus, visual and hearing impairments, Down and Tourette syndromes. Their personal tales introduce young siblings to others like them, perhaps for the first time, and allow them to compare experiences. A glossary of disabilities provides easy-to-understand definitions of many of the conditions mentioned. Bedwetting is an issue that comes up in elementary school from time to time. Here are some resources to help support this situation for your students. The good news is that for many children the problem will resolve itself over time, or can be fixed through fairly simple treatment. Bedwetting (also called nocturnal enuresis) is very common. As the following graph shows, almost a third of four-year-olds wet the bed. By the time they are 6, only one in 10 children wet the bed, and one in 20 by age 10. Bedwetting can sometimes continue into adolescence. a problem in children ages 6–12, occurring only during NREM sleep. your child wets or has bowel movements in their pants during the daytime. If your child has been dry at night for six months then begins to wet their bed again, it is important to see a doctor for evaluation. The doctor will consider your child’s details and determine if there is a physical problem that needs to be addressed. considered to be a problem until after age 7.
age of 6 or 7, you should consult your pediatrician. bedwetting, the child has never had nighttime control over urination. after the child has been dry during sleep for 6 or more months. whenever your child’s pajamas or bed become wet during an accident. is important to monitor your child’s response to the medication. I ran across this site and use it regularly to help support students at my schools. I hope you like it as much as I do! The IRIS Center offers a wide variety of resources and services to suit a diverse set of instructional needs and circumstances. IRIS is supported by the U.S. Department of Education’s Office of Special Education Programs and located at Vanderbilt University’s Peabody College, the IRIS Center develops and disseminates free, engaging online resources about evidence-based instructional and behavioral practices to support the education of all students, particularly struggling learners and those with disabilities. These resources, designed to bridge the research-to-practice gap, are intended for use in college teacher preparation programs, in professional development (PD) activities for practicing professionals, and by independent learners. The array of IRIS resources includes modules, case studies, information briefs, course/PD activities, a high-leverage practices alignment tool, and an online glossary of disability-related terms as well as supporting products to enhance their use in coursework and PD activities.Developed in collaboration with nationally recognized researchers and education experts, our free online resources address instructional and classroom issues of critical importance to today’s educators: classroom behavior management, secondary transition, early childhood, Universal Design for Learning (UDL), and many others. In addition to our free resources, IRIS offers low-cost online professional development options: Certificates of Completion for IRIS Modules, a School & District Platform, and micro-credentials. Since 2001, IRIS resources have been used in teacher preparation programs throughout the United States and around the world. In 2017 alone, the IRIS Website hosted more than two million visits. Learn more about IRIS in our informative brochure. English Language Learners: Is This Child Mislabeled? ¿Está este niño mal catalogado? Adolescent Literacy: What’s Technology Got to Do With It? Can Differentiation Be Looked at Differently? Can Information Technology Function as Assistive Technology? Getting Started: How Do I Implement Progress Monitoring in My School? Organizing Family and Community Connections With Schools: How Do School Staff Build Meaningful Relationships With All Stakeholders? Preparing for an FBA Meeting: What Should I Bring? Response to Intervention and Positive Behavior Support: Brothers from Different Mothers or Sisters with Different Misters? Response to Intervention in Secondary Schools: Is It on Your Radar Screen? Student errors: What can they tell us about what students DO understand? What Does Getting Results Say About Implementing Programs with Fidelity? What Is Accessible Electronic and Information Technology? What Should We Look for in Good Reading Software? Student anxiety can really impact their learning. Cognitive Behavioral Therapy and Psychopharmacological interventions are sometimes recommended when anxiety fiercely gets in the way of doing day to day activities. Consult an expert if this applies to your child. Below is a list of tools and worksheets to help address issues related to anxiety. • Short 11 min. video on understanding and managing Selective Mutism. Struggling with anxiety? Tired of missing out? There are things you can do to stop anxiety and fear from controlling your life. MindShift™ is an app designed to help teens and young adults cope with anxiety. It can help you change how you think about anxiety. Rather than trying to avoid anxiety, you can make an important shift and face it. Think of MindShift™ as your portable coach helping you face challenging situations and take charge of your life. If you are a MindShift user, please consider making a donation to help us maintain and continue to offer the app for free. 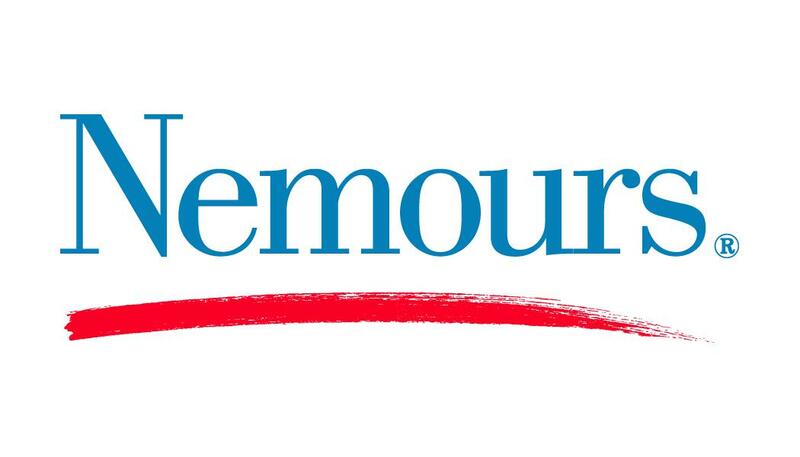 I ran across this Nemours website by accident looking for developmental reading resources and I found so much more. I hope you find it as useful as I have in looking at reading and health subjects in a very concise and accessible format.